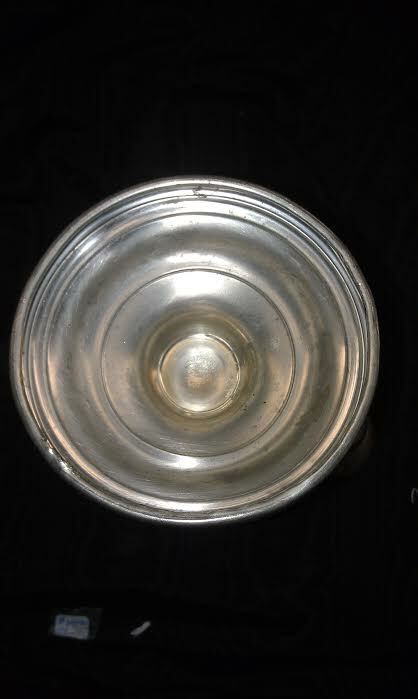 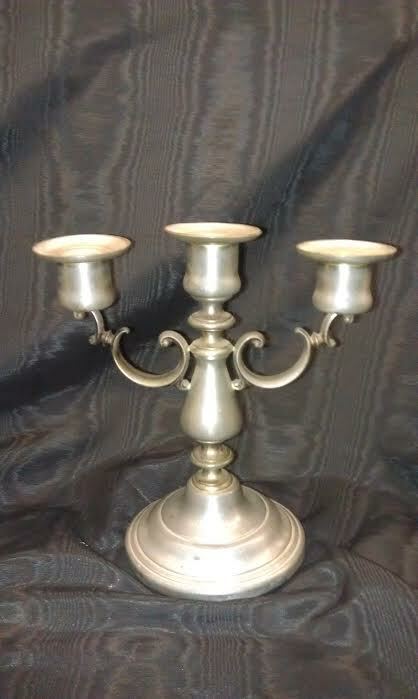 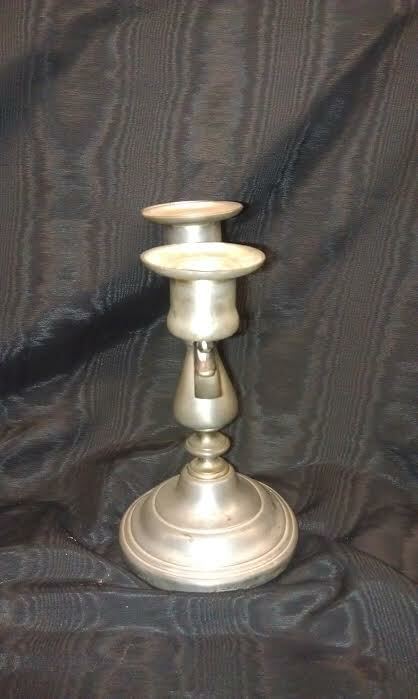 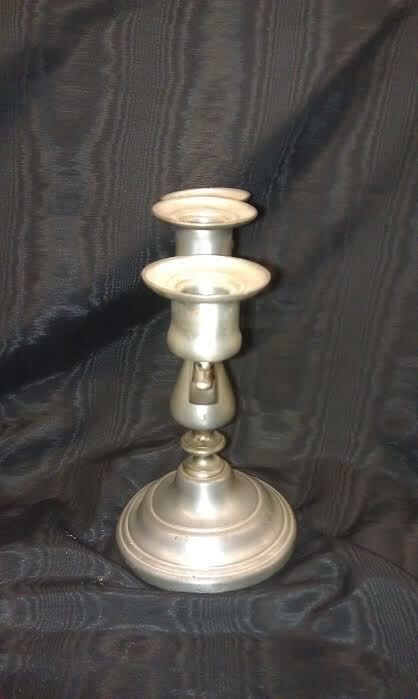 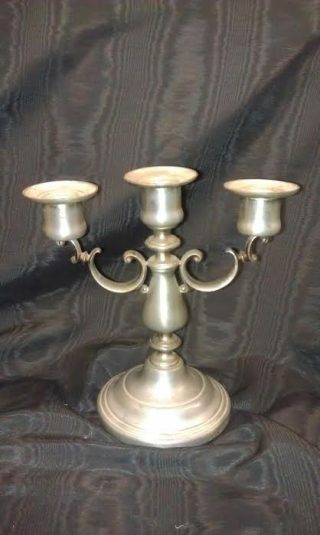 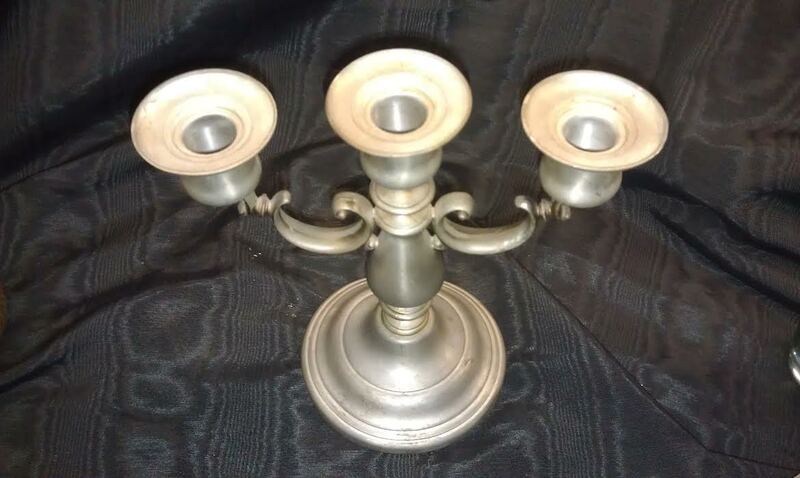 This simple vintage pewter three-light candelabra was made by the International Pewter Co c. 1925. 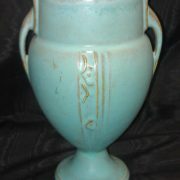 It does show signs of use and wear, although the piece is in nice condition. Some denting along the base rim. 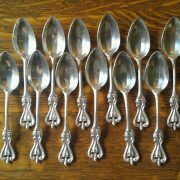 Slightly leans. 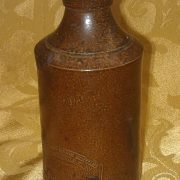 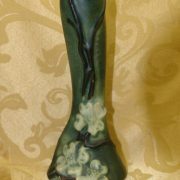 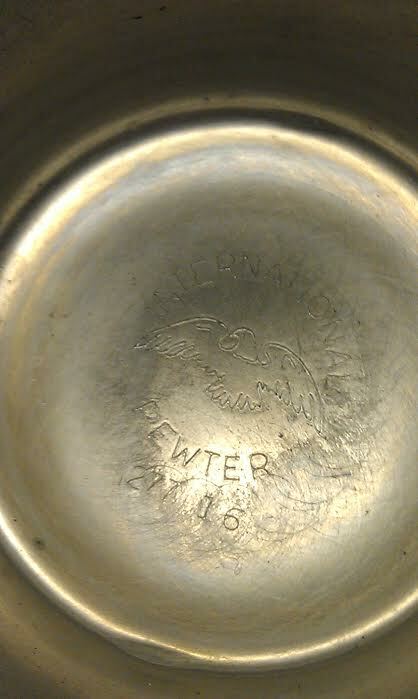 It has the hallmark on the bottom with maker's name.